I have written previously about the controversy surrounding the Belt & Road Initiative and the fact that Li Po Chun United World College of Hong Kong has been planning a Belt & Road centre during the same exact period that the Communist Party has extra-judicially detained upwards of one million Uighur Muslims in political re-education camps in Xinjiang, the heartland of the “Belt” in Belt & Road. Here, I focus on the ways in which UWC and Li Po Chun United World College (LPC) avoid confronting the inevitable politics of the Belt & Road centre and the dynamics behind their decision to go ahead with this dubious project. At its board meeting at the end of October, United World Colleges International approved Li Po Chun United World College’s plan for a Belt & Road centre. The centre is named after the Belt & Road Initiative, the Chinese Communist Party’s premier foreign policy mobilisation under Xi Jinping. UWC International gave the go-ahead in spite of a demand that it recommend that the Belt & Road centre not proceed. In April this year, LPC announced receiving HK$50 million (US$6.4 million) from the Lee Shau Kee Foundation for the centre. Li Po Chun United World College. Photo: Wikicommons. LPC, located in Hong Kong, is one of 17 United World Colleges around the world unified by a common peace mission. UWC International is the body that oversees the 17 UWCs and coordinates between them. While UWCs operate autonomously, UWC International must approve new UWCs and can make recommendations on various aspects of individual UWCs’ operations. If UWC International had decided to recommend that LPC’s Belt & Road centre not proceed, its decision, while not necessarily binding on LPC, would have carried great weight. Now, nothing within the organisation stands in the way of LPC developing the project. In its self-contradictory logic, this statement is Orwellian doublespeak. 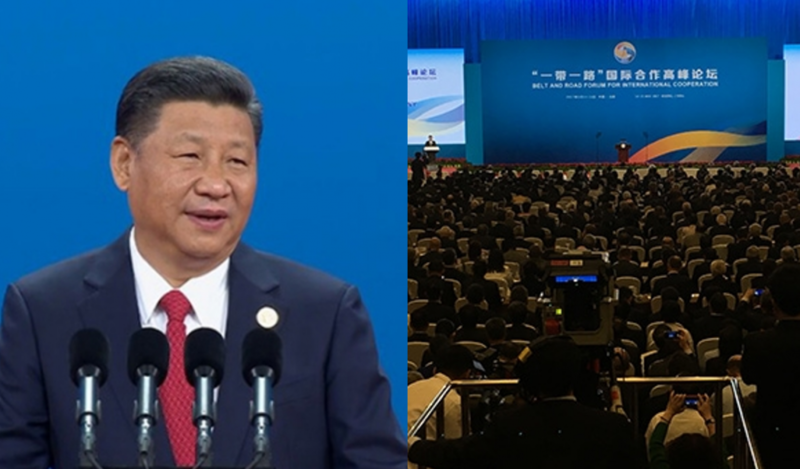 Both LPC and UWC International had been advised that the very naming of a centre Belt & Road is politically partial, especially given how closely associated the Belt & Road Initiative (BRI) is with China’s supreme leader Xi Jinping. UWC’s warning to LPC to remain politically impartial gives LPC the go-ahead and therein constitutes a further compromising of “political impartiality”: Now it is not only LPC but also UWC that is taking sides. The fact that UWC and LPC believe naming a centre after a dictatorship’s top foreign policy objective is “politically impartial” raises the question: what, in their eyes, would not be? Announcement of the LPCUWC Belt & Road centre. File photo: LPCUWC. Then again, maybe “political impartiality” is the wrong criterion. Doesn’t almost any educational decision have political implications? Shouldn’t the question be what kind of political implications it has and whether or not those are desirable? At the end of the Cold War, George Soros started the Open Society Foundation to fund initiatives in central and eastern Europe, including the Central European University in Hungary, in order to promote open societies. This was clearly political, a fact which the current far-right government in Hungary recognises, as it is attempting to hound CEU out of the country. I support politics that promote open societies. I do not support politics that promote authoritarianism. UWC International and LPC refer to Belt & Road as if it were a value-neutral concept, but in fact BRI spearheads the Communist Party’s effort to reshape its sphere of influence in its own image. BRI promotes authoritarian developmentalism, an ideology that attempts to combine economic development with deprivation of democracy, freedom and rights. If UWC and LPC really believe “UWC values” can coincide with that ideology, they should fully and coherently make their case, not hide behind doublespeak. In the big scheme of things, the case may seem insignificant, but it is a revealing study of how Communist Party influence seeps into international institutions, even those with supposedly liberal values and ideals such as UWC. As one LPC alumnus told me, “[LPC] is not pro-Communist Party, it’s pro-money.” I suspect that goes for a great many actors, including many educational institutions around the world, currently collaborating with the regime. They want the money, they want the “relevance”, and they find all sorts of justifications for their complicity. Indeed, “people-to-people bond” is one of the five BRI “cooperation priorities” outlined by the Communist Party. How can LPC on the one hand explicitly link the centre to a specific element of the BRI and on the other claim it’s “politically impartial”? BRI, after all, is not a United Nations initiative, or even a multilateral initiative, but that of a single government. 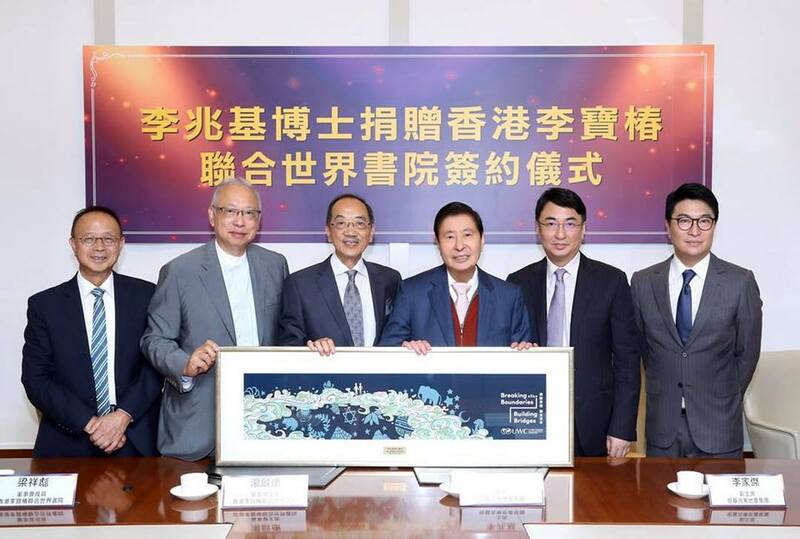 The HK$50 million donation comes from the Lee Shau Kee Foundation which funds, among other beneficiaries, educational institutions in Hong Kong and mainland China. 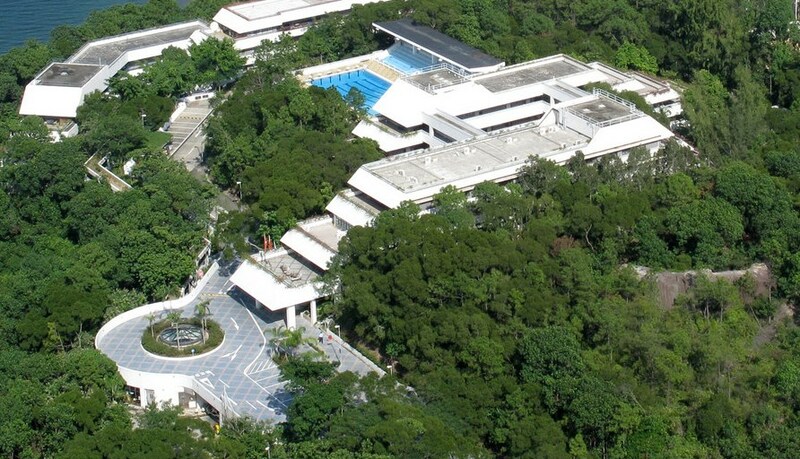 Most of its funding in Hong Kong has gone to universities, but it has also funded a government secondary school, the Lee Shau Kee School for Creativity, to which it gave HK$20 million (US$2.6 million). 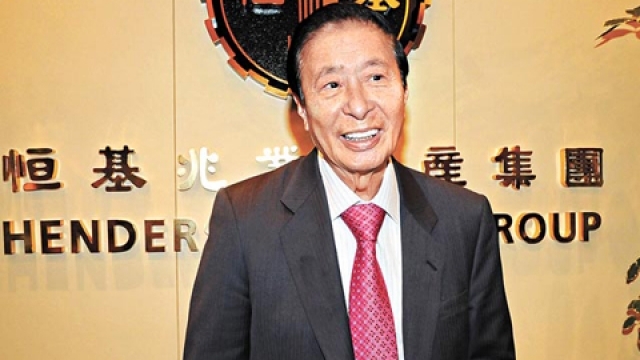 Lee Shau Kee is reputedly Hong Kong’s second richest man and the chair of Henderson Land, one of the biggest property developers in the city. Lee was one of 70 Hong Kong business leaders called to Beijing by Xi Jinping in 2014 to shore up the support of Hong Kong elites allied with the Communist Party for its campaign to deny universal suffrage to Hong Kong just before the Umbrella Movement began. And he was not just any member: he was among six tycoons seated next to Xi himself in the front row. Anyone used to the significance of seating arrangements at Party events will know this unequivocally signalled Lee’s standing with the Party. At that meeting, Lee euphemistically stated his position: “Political reform” should only occur “gradually”. 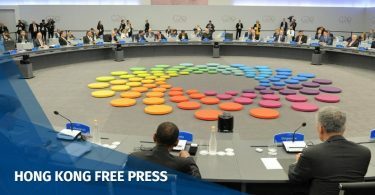 Translation: Hong Kong’s political system must remain under the control of the Communist Party and its economic system under the control of tycoons like himself. Therefore, democracy must be denied indefinitely. His political alignment with the party could not have been clearer. Lee’s eldest son and vice-chair of Henderson Land, Peter Lee Ka-kit, is a member of the Chinese People’s Political Consultative Conference, a body composed of prominent regime loyalists. Anyone on the CPPCC is by definition allied with the Party. In the photo accompanying LPC’s announcement of Lee’s donation, father and son stand side by side. The money given to LPC’s Belt & Road centre is, according to publicly available evidence, the first donation Lee has made to an explicitly political educational initiative, linked as it is to the BRI. 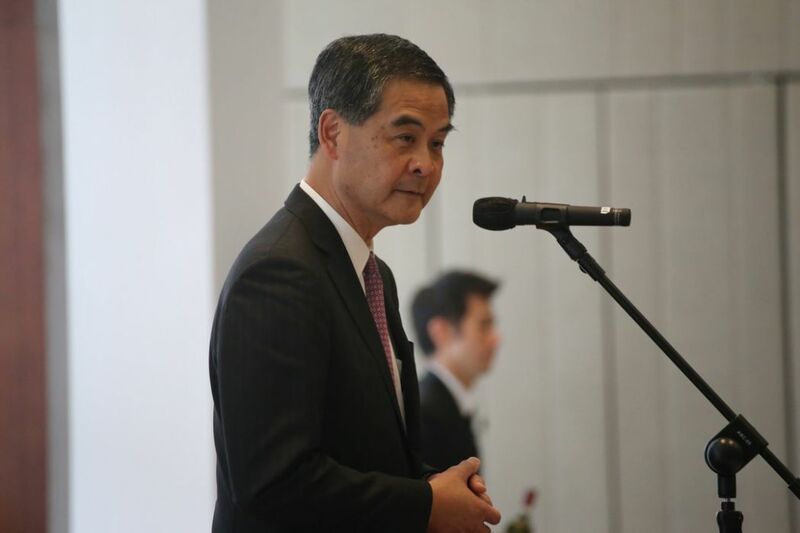 Former Hong Kong Chief Executive Leung Chun-ying co-founded both. As CE, he was widely despised for playing a key role in the Communist Party’s campaign to deny Hong Kong people the right of universal suffrage. After his tenure as CE, he was appointed vice-chair of the CPPCC, the same body to which Peter Lee belongs. Leung is an enthusiastic promoter of BRI in Hong Kong. Leung Chun-ying. File photo: inmediahk.net. The Hong Kong government itself is also involved in promoting BRI and is organising an international Belt & Road Summit, to be held in September 2019, around the time LPC is scheduled to open its Belt & Road centre. In February, the current CE Carrie Lam gave a speech at an LPC event praising the college for its plan to open the Belt & Road centre and explaining the government’s own efforts to promote BRI. These are LPC’s bedfellows, all of them either governmental or with strong links to the government. 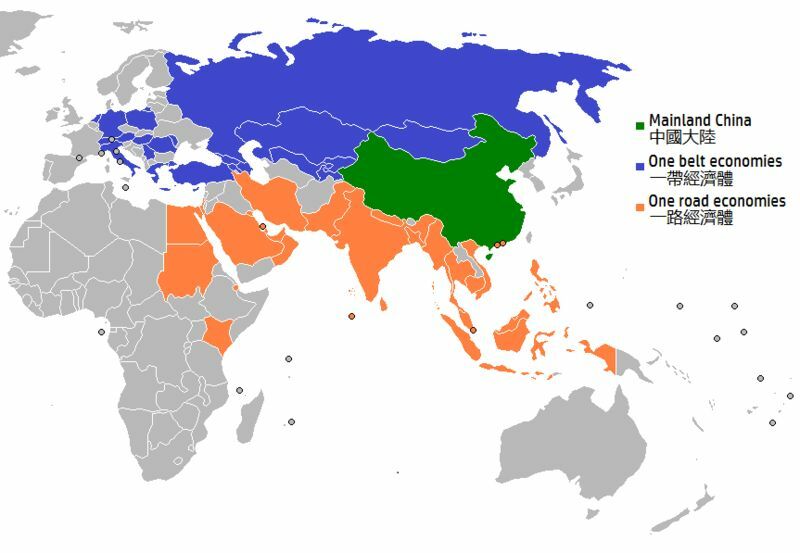 How, with these allies, could the Belt & Road centre be considered “politically impartial”? 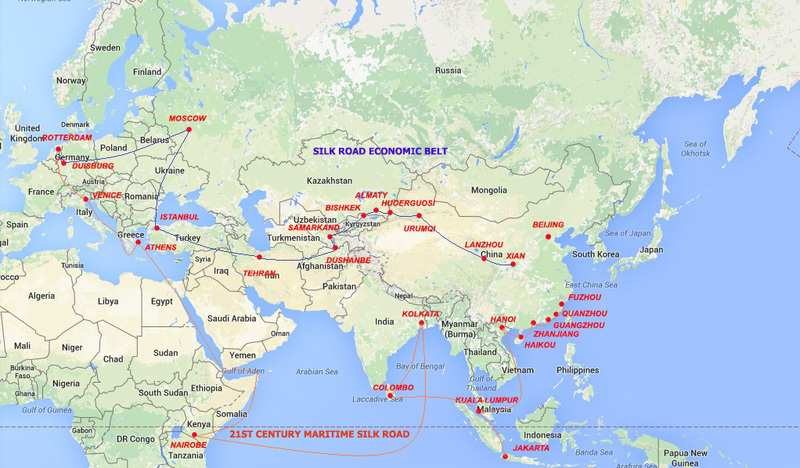 The Belt & Road centre does not even appear to be a serious educational project. As of now, judging from what LPC has said about it, it has little content apart from some ideas about “people-to-people bond” and “cultural exchange”. It intends to give scholarships to students from so-called Belt & Road countries, start a resource centre with short courses, and fund service-learning trips to Belt & Road countries. But why? What is the educational content? What does it intend to achieve? LPC states that it will “promote positive action”. Of what sort exactly? As both an educator and someone with a background in securing funding for human rights education, I can tell you that there is not a single mainstream governmental or non-governmental funder of educational programmes that would seriously consider an application for LPC’s Belt & Road centre. It is far too vague in its articulation of goals, strategy, activities, outputs, outcomes and expected impact. To use NGO lingo, it has no legitimate “theory of change”. It appears that the money came first, then some ideas about what to do with it. Its lack of firm philosophical or pedagogical grounding and fuzzy aspirations leave LPC even more vulnerable to Party influence. To bring its poverty of vision into relief, imagine what a true peace centre at LPC might look like: Paying homage to the illustrious line of great Asian peacemakers and peaceful freedom fighters such as recent Nobel Peace Prize laureates Liu Xiaobo, the Dalai Lama, Malala Yousafzai, Kailash Satyarthi, Muhammad Yunus, Shirin Ebadi, Kim Dae-jung, José Ramos-Horta and Carlos Felipe Jimenez Belo as well as many others who have not won the Peace Prize, like Gandhi, such a pan-Asian centre could partner with the many exemplary organisations working for peace and justice in Asian countries with vibrant and dynamic civil societies. In light of these inspiring possibilities, that LPC is settling for the unipolar Belt & Road centre is tragic. The centre is a litmus test: is UWC serious about its peace mission? Based on the stark contrast between what the Belt & Road centre proposes to be and what a peace centre at an Asian college like LPC could look like, you’d have to conclude it’s not. Alumni who have attended recent LPC alumni events told me that the school head expressed concern that they have not giving more generously to the school and suggested this is one reason why it must seek funding such as Lee Shau Kee’s. Instead, LPC might reflect on why the school does not inspire greater confidence in alumni or potential donors with liberal values aligned with UWC’s mission. A recent LPC report reveals that the college receives 77% of its funding from student fees versus 4% from donations. 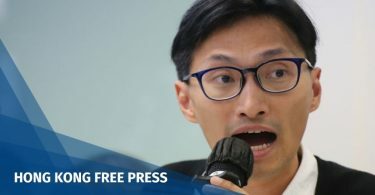 Hong Kong students pay a whopping HK$277,000 per year (US$35,392), making LPC as economically exclusive as the most expensive international schools in Hong Kong. In fact, LPC is the most expensive school subsidised by the Hong Kong government. Twenty-two per cent of LPC’s budget comes from the Direct Subsidy Scheme, which is meant to provide funding to private schools so that they can keep school fees at affordable rates. More than one commentator has asked why public money is spent to subsidise an LPC education that only the wealthiest can afford. With the explosion in the number of international schools globally in recent years– a trend that goes hand in hand with sharply increasing income inequality– UWC has experienced an existential crisis: What really makes us so different from run-of-the-mill international schools? The quality of many UWC students definitely does, but apart from that, not much about the education UWC offers is really that special. Instead of using this trend as a wake-up call to get serious about the UWC mission of peace, which is what really distinguishes (or could distinguish) UWC, UWC International decided expansion was the way to make UWC “relevant” in this new global era. Fully eight of the existing 17 UWCs have come into existence since 2000 (and three others in the 1990s). The only public announcement about decisions taken at UWC International’s October board meeting was that it was giving the go-ahead to three new proposals to start UWCs. On the surface, it may appear UWC is thriving. But in all of this expansion, insufficient attention has been paid to the quality of education, especially in regard to UWC’s supposed peace mission. Compared with other international schools offering the International Baccalaureate diploma, the overall quality of UWCs is probably fine, but as idealistic colleges with a peace mission, it’s really hard to see what UWC has to offer. Simply bringing people together from all over the world to study and learn for two years might be a wonderful experience for those who get the opportunity (which means, increasingly these days, those who have the money), but it’s not a serious strategy for promoting peace. In its six decades of existence, UWC has made no discernible impact in terms of its peace mission, and while it’s dotting the world map with UWCs, these are little different from other international schools, especially in cases like LPC where most students must pay fees comparable to those charged by other international schools. It is not surprising in this context of rapid expansion with insufficient attention to fulfilling its mission that UWC has so blithely approved LPC’s Belt & Road centre. Especially following the opening of a UWC in China in 2015, the first new UWC in a full-fledged dictatorship, it is a sign UWC is losing its way. There is growing Communist Party influence not just in Hong Kong and the BRI countries, most of which are non-democracies, but also in free societies. This is a global issue. Democracy versus authoritarianism is the major struggle of the twenty-first century. Individuals and institutions must understand this situation and take a stand. Whether through ignorance, naivete, opportunism, indifference, cynicism, desperation, a lack of moral scruples or some combination of the above, UWC and LPC have failed this basic test of citizenship, and in doing so, have compromised UWC values and acted as a negative example for the students they presume to educate. Brian Kern is a former United World College teacher.